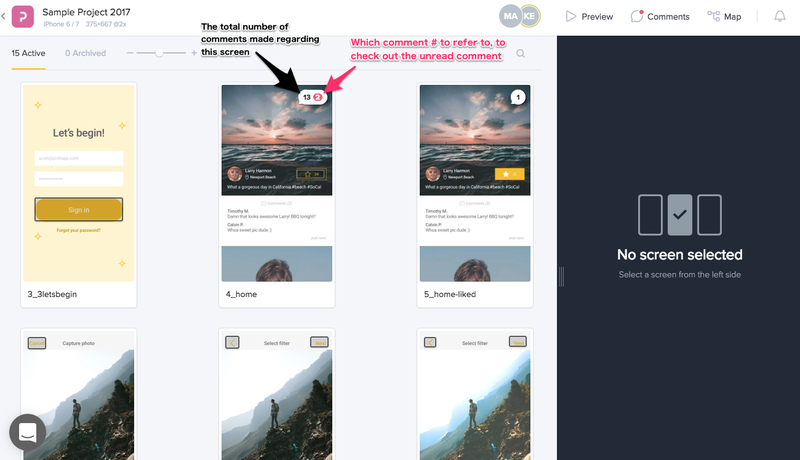 Start by selecting the screen you want to make a comment on. Move the cursor to the top right hand corner of the screen and click on the + bubble icon to take you into comment mode. Click anywhere you want on the screen to leave a comment. Type your comment in the comment field and click Post or hit ⌘ + Enter. Note: Comments regarding the specifics of each screen will all be displayed on the left side panel. You can also include a URL link inside your comments? Once you hit Post you can click on the URL to take you to the site. From the right hand panel, add your comment in the comment field. Click Post or hit ⌘ + Enter. Note: Comments regarding the overall look of the screen will all appear on the right side panel. Before we explain how to view your comments, let's first start off by understanding what all those numbers mean. Locate the screen you would like to view the comments of. From the top right corner of the screen click on the bubble icon to take you into the Comment mode. 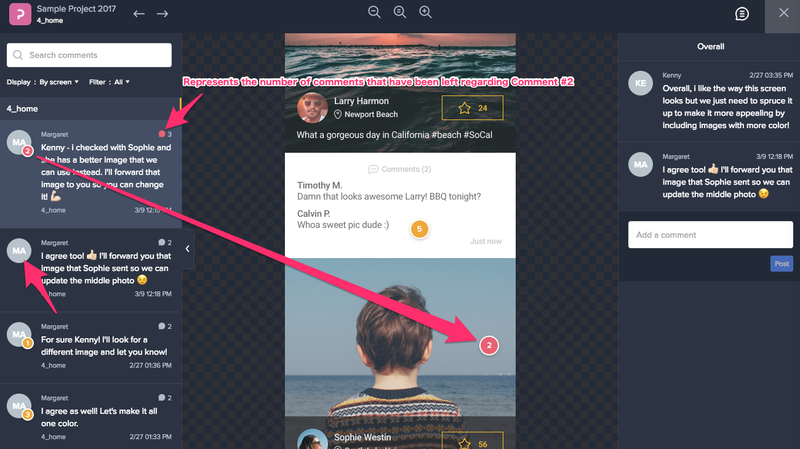 Or click the Comment icon from the project screen to take you into Comment mode. Once in the Comment mode, click on any of the comments shown on the left or right hand side. To exit the comment mode, click the x icon at the top right corner or hit the ESC key.